BizSugar Blog » BizSugar Video & Image Gallery: Check It Out! 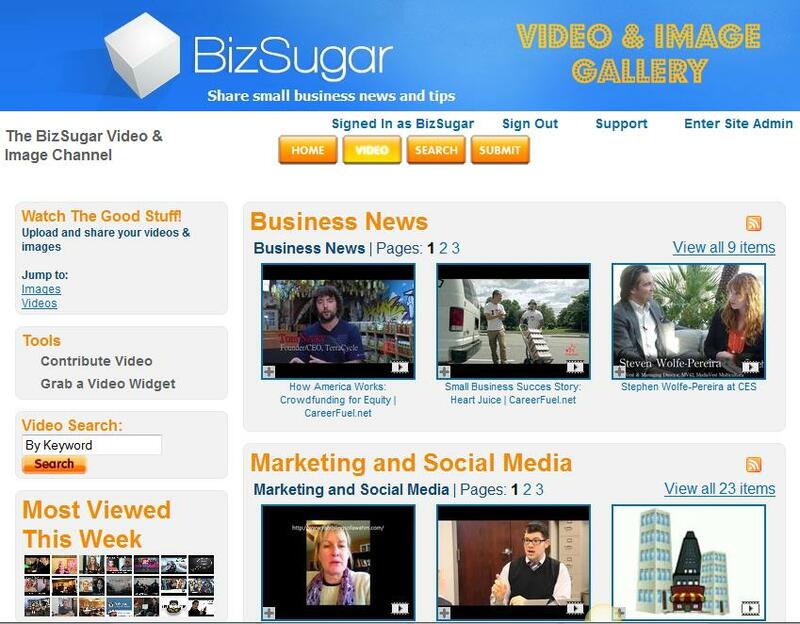 If you haven’t had a chance yet, check out BizSugar’s Video & Image Gallery, a sweet new video content page where members can share their own small business videos or clips from anywhere on the Web with just a few clicks of the mouse. Bernd Geropp warns us not to behave like Darth Vader when managing our employees. Create an atmosphere of fear and you’ll soon have employees hiding things from you and loosing the morale they need to succeed. If an employee has failed to perform on a given project, you must decide whether choosing them for that role was a correct one. Stephanie Ward of Firefly Coaching discusses the dangers of making assumptions and how this practice can cost you business. The only way to find out what a client or customer really thinks about your your service or business is to ask them. If a customer hasn’t responded to your e-mail, don’t assume they’re not interested. Follow up and learn the real story. Chris Hamilton of Sales Tip a Day interviews author and social media ROI expert Lon Safko on the importance of relying on your analytics. Businesses need to get in the habit of figuring out where the traffic on their Website is coming from so they can determine what works and what doesn’t. Find out where you’re getting your biggest social media ROI. Conrad Flynn of Concur New Media makes some interesting new media and tech predictions that could have big implications for small businesses moving on into 2013…if they turn out to be correct, that is. Among Flynn’s predictions is a large scale reevaluation of the value of social media marketing, the comeback of the Blackberry as the premier mobile business tool, and the boom in entrepreneurism especially among very small mom and pop businesses. You can check out these and some other video clips submitted by our members or sign up for a free account and start submitting video and images of your own. In addition to all our great member-submitted content, you’ll also find some of the best small business videos out there, curated by us—the BizSugar Team! We’ve got everything from great entrepreneur interviews and small business how-to videos to our fun in business section where you’ll find some real knee-slappers that will remind you how much fun running a small business can be. Take a look!—it’s a great way to start the day! For more on how to use the new BizSugar Video & Image Gallery click here, or watch the tutorial video below. We’ hope you’ll visit soon!